Reason and Reality – "If You're Not Outraged, You're Not Paying Attention." 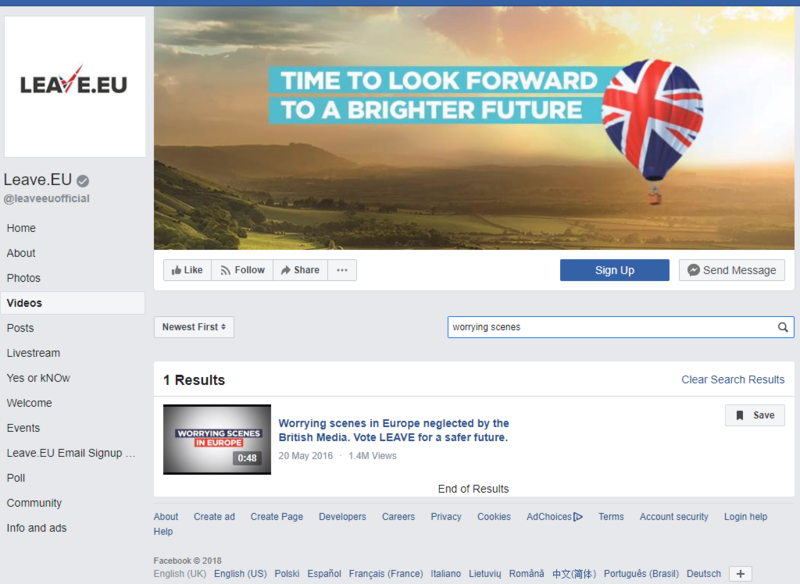 Author Colin LawsonPosted on December 2, 2018 April 17, 2019 Categories Media, PoliticsLeave a comment on Brexit campaign ads are among the first removed by Facebook in a crackdown. Here’s a Leave.EU video ad that includes an appalling example of fake news. 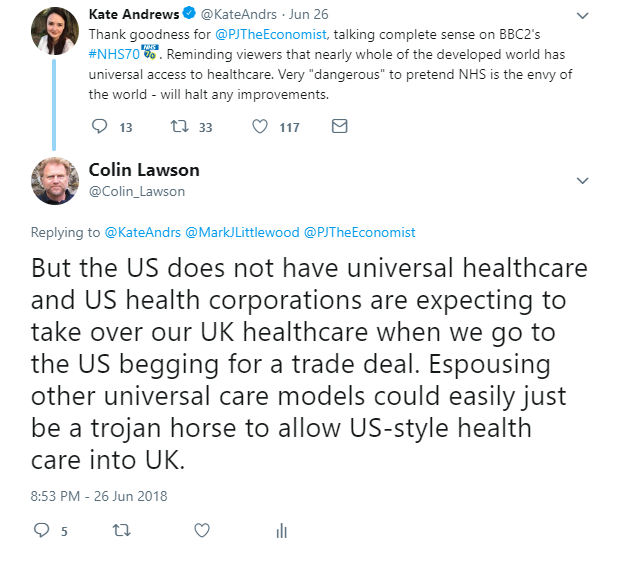 Author Colin LawsonPosted on July 29, 2018 December 2, 2018 Categories PoliticsLeave a comment on Mark Littlewood of the IEA has blocked me in response to my ‘Trojan Horse attack on the NHS’ comment. 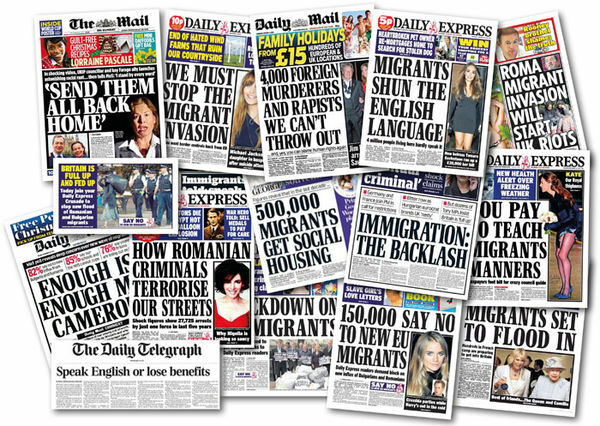 Author Colin LawsonPosted on November 18, 2016 November 21, 2017 Categories Media, Politics2 Comments on ‘Spiked’ launches a demented, fact free attack on “Stop Funding Hate”. Author Colin LawsonPosted on September 4, 2016 October 5, 2016 Categories Politics1 Comment on Invoke Article 50 Now – Invoke Democracy Now – Uphold the Brexit vote! 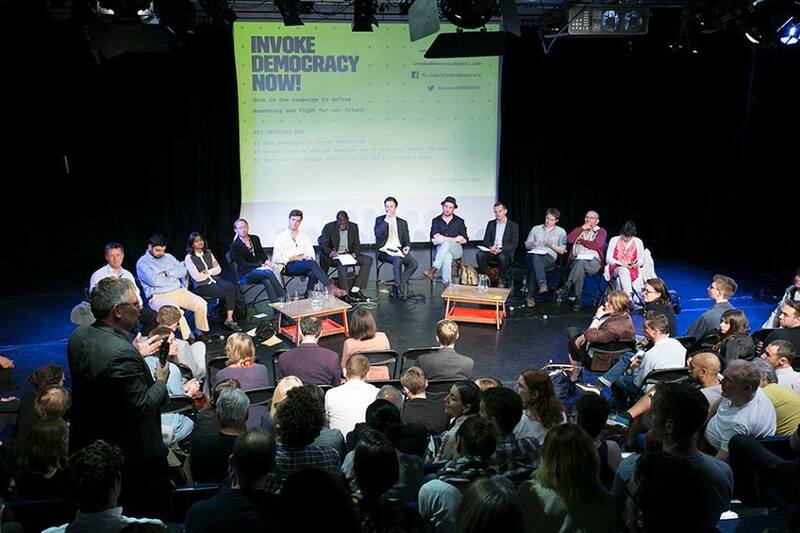 “Invoke Democracy Now” Claims to be a “post-Brexit campaigning group set up to inspire wider public discussion of Brexit and democracy and to call on the government to uphold the vote.” but who is behind the organisation? The answer looks like ‘Spiked‘, a right wing neo-libertarian online magazine. Claire Fox – Director, Institute of Ideas and writer for Spiked. The contact details for the meeting and the organisation were via Saleha Ali, who happens to have written five articles for Spiked. 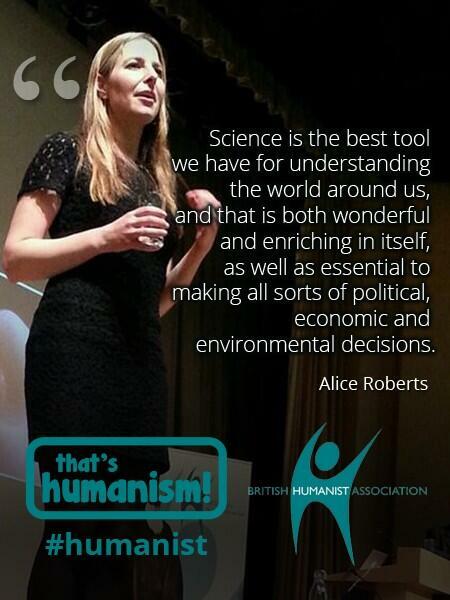 On Twitter the meeting was promoted by Justine Brian, who also happens to be a writer for Spiked and the National Administrator of the Institute of Ideas and Pfizer Debating Matters Competition, an “innovative and engaging new style of debating competition for sixth form students in the UK”. Ironically, Justine’s response is very similar to the first sentence of this summary of the Living Marxism Network. Justine’s lack of transparency matches the lack of transparency on the meeting’s publicity material as in this example from Eventbrite. Strangely Spiked seem to be running two almost identical campaigns in parallel. 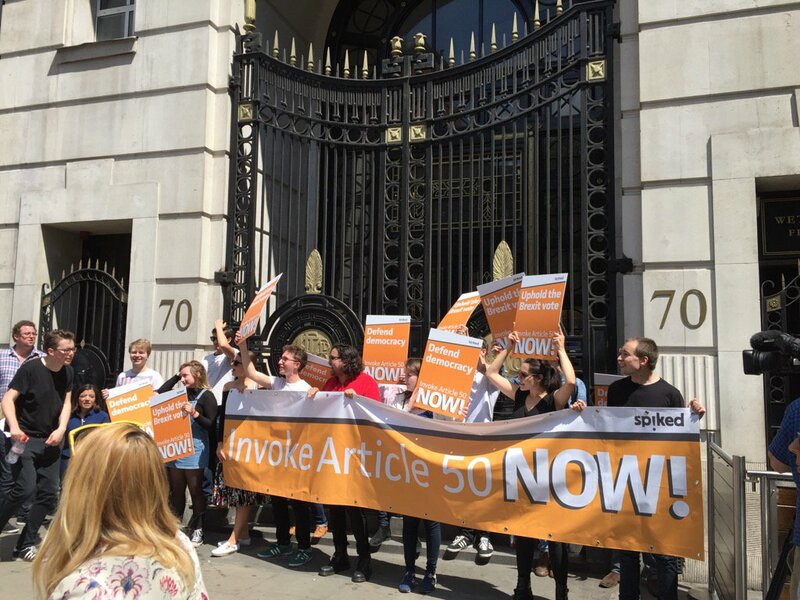 Unlike “Invoke Democracy Now”, “Invoke Article 50 Now” is clearly sponsored by Spiked as indicated on the professionally produced posters of this small band of protesters. 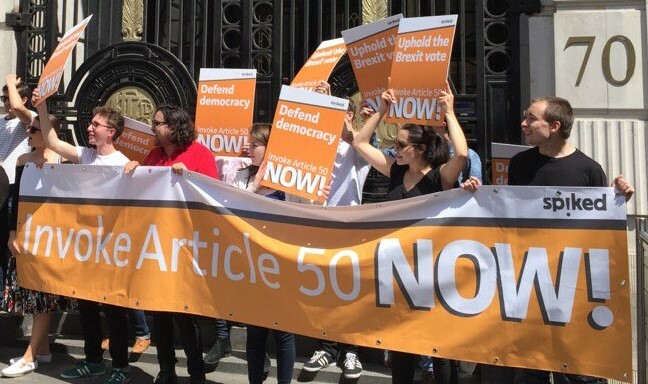 I have written about the Spiked “Invoke Article 50 Now” campaign here. 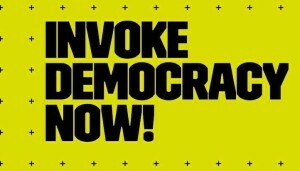 Author Colin LawsonPosted on July 18, 2016 November 24, 2016 Categories Politics5 Comments on Who is behind the campaigning group “Invoke Democracy Now”. 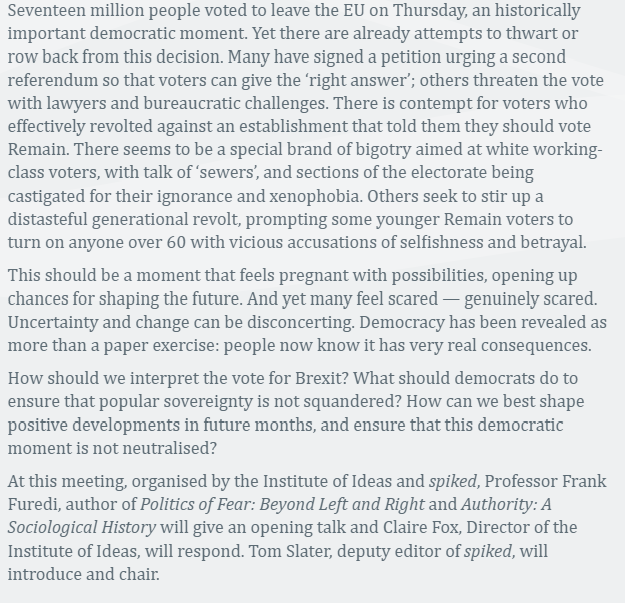 “Brexit: the battle for democracy starts here” is the title of an ‘Institute of Ideas’ and Spiked on line, event with apparently just three speakers, all Spiked members, Frank Furedi, Claire Fox and Tom Slater. Throughout the notes the author does exactly what he/she accuses the opposing camp of doing, i.e. showing contempt for the opposing view by taking individual examples of outrageous slurs and then attributing them to everyone in the opposing camp. The author has made unfounded assertions, and cherry picked the evidence, and/or distorted it to fit a narrative. This did not bode well for the meeting especially when the only speakers appear to be members of the right wing, neo-libertarian ‘Spiked’ online magazine. Surely effective planning to engage in a battle for democracy needs input from, and be open to, a wide range of opinions and views. I voted to remain. 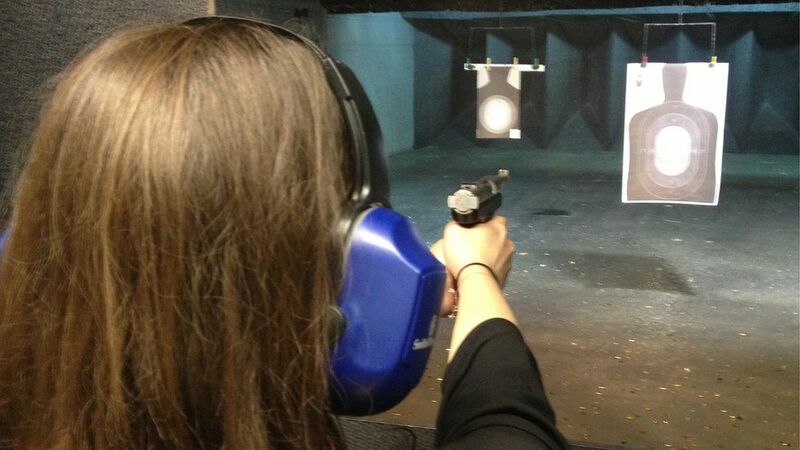 I thought about the issues carefully and tried very hard to be objective and reasoned. I appreciate that others came to different conclusions and I admit that my vote was for what I considered the least worst of a binary choice which did not allow me to express my actual preference. However it was made in good faith. To be smeared and denigrated by the Spiked speakers because I did not make the same choice as them is not the best way to involve me in an open debate on the way forward. I did not attend the meeting so cannot judge what actually happened but I can only say that the closed minded tone of the briefing notes would have put me off attending even if I didn’t happen to live 300 miles away. Out of interest I listened to IoI’s latest podcast “Podcast of Ideas: post-referendum special”. Three Spiked members spend 30 minutes on a partisan, narrow minded rant about those who voted to remain. With no other guests there was no one to call them out on their litany of straw man arguments, unfounded assertions and cherry picked examples. A waste of 30 minutes and not an encouragement for me to engage further. UPDATE (03/07/2016). OK I have now listened to all bar the last 30 minutes of the two hour “Brexit: the battle for democracy starts here” (Link: http://www.instituteofideas.com/comment#.V3pwgrgrLIV). Early on, one of the speakers, Frank Ferudi, I think, said that the meeting was not a Brexit rally. 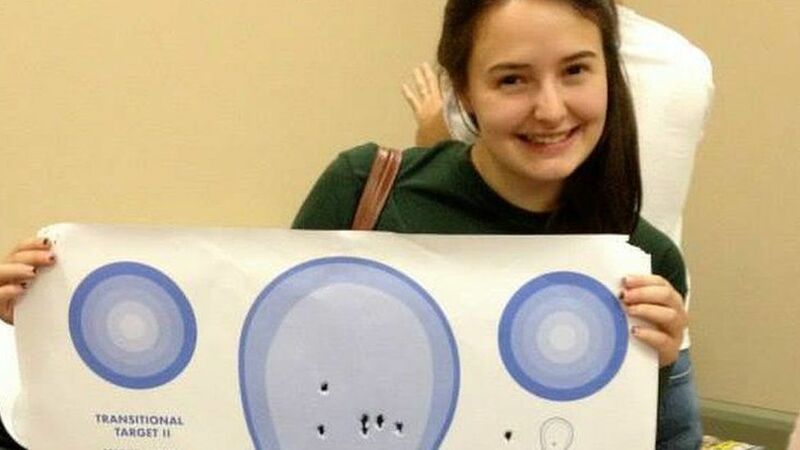 But in reality as far as the speakers were concerned this was pretty much what it turned out to be. There were a few good questions from the audience and Frank Furudi indulged in a bizarre and meandering discussion about identity. However the over riding impression was that Ferudi and particularly Clarie Fox, spent a significant amount of their time slagging off those who had voted remain using stereotypes and caricatures – exactly what they accused the remainers of doing. There was a forceful but unsubstantiated defence of the referendum process without any analysis or even mention of the aspects of the process that concerned those who regard the referendum as a travesty of democracy. What stood out for me about the input of Ferudi and Fox was the total absence of any discussion about how our democracy might be developed post Brexit and how we should “fight the battle for democracy”. This was the title of the meeting but was absent from the speakers input apart from a plea that we should make sure that Brexit actually happens. No discussion of the future of democracy or the mechanics of how we make our political system more democratic. The title of the meeting attracted my attention. I wanted to hear from Claire Fox and Frank Ferudi how we might ‘fight the battle for democracy’? I was badly disappointed. In reality the meeting was simply a Brexit Rally aimed at motivating the faithful. 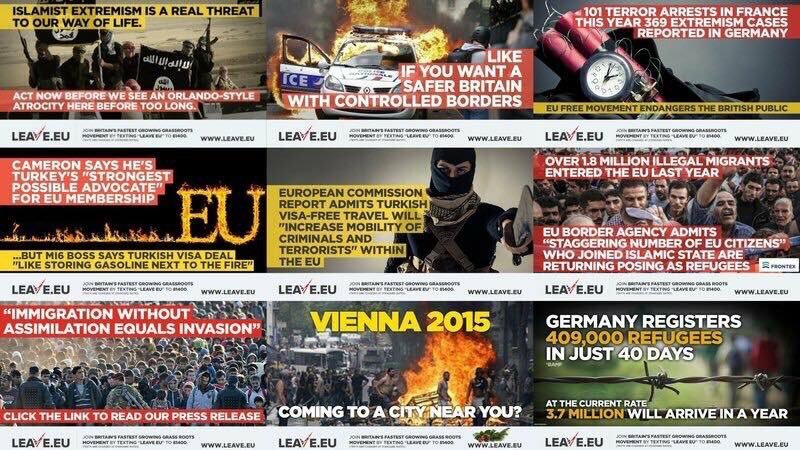 If the Spiked On Line speakers want to recruit non zealots to their ‘Invoke Article 50 Now’ campaign they could start by at least trying to substantiate their assertions about brexit and democracy. “Carrying out the will of the people” and “the people have spoken” are words taken from the vocabularies of demagogues, not democrats and result in the tyranny of the majority. History gives us ample evidence that this is not a wise system of government. The lack of any substantive discussion about how democracy after brexit involves anything more than a transfer of control to a more right-wing branch of the Tory party, plus increased influence by right-wing plutocrats like Arron Banks does not convince. Our current flawed and limited democracy is subverted by neo libertarian politicians, demagogues and corporate power, the Spiked speakers have not offered any plan for preventing this process from accelerating after brexit. Oh and finally just a reminder – democracy does include the right to dissent, including immediately after an election or referendum. Salisbury MP, John Glen, has consistently voted in favour of cuts to local government spending (40% since 2010) that have had a disproportionate impact on the most vulnerable in our society. In fact John has voted in favour of every cut his government has made, irrespective of the damaging impact those cuts have had on the most vulnerable. Those votes have included votes in favour of successive welfare changes that have disproportionally hit disabled people, such as cuts to social care and the recently passed cuts to employment support allowance. The cuts will reduce benefits by £30 a week for those in the work-related group. 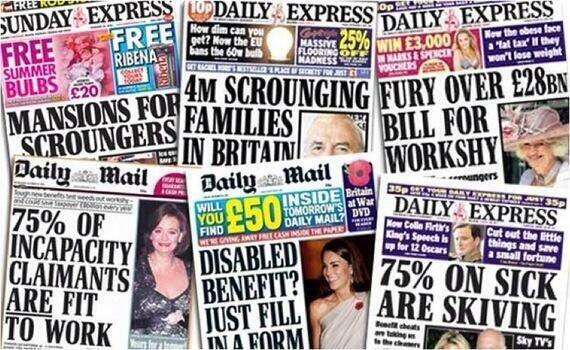 We now have a budget in which George Osborne is taking $4bn from disabled people to fund tax cuts for the wealthy. Those who will benefit from the tax cuts include MPs like John Glen who have just had an 11% salary increase. To make matters worse, the way the cuts in personal independence payments (PIP) for disabled people were announced, has inevitably caused maximum upset and fear amongst the most vulnerable in our society. It’s time for John Glen to come clean and stand by his promise. UPDATE (22.29 18.03.16): Since I wrote the above, the government seems to have retreated on the PIP cuts and Iain Duncan Smith has resigned stating as his reason the shambles that is George Osborne’s cuts to disability benefits. This stretches our credulity to breaking point given that IDS has been the government cheerleader for benefit cuts and has a very nasty line in benefit scrounger rhetoric. Another possibility is that his resignation may be an even more desperate attempt to give some life to his Brexit campaign by undermining his chief opponent, George Osborne. Whatever the motives, they do not appear honourable. The Tories (including my own MP, John Glen) have been brilliantly successful in selling us the lie that the financial crisis was caused by excessive welfare spending by the Labour party. This enabled them to sell the argument, despite all the contrary evidence, that only the Tories can be trusted with the economy. It also allowed them to get away with their phony ‘long term economic plan’ which was in reality nothing more than a doctrinaire political programme to drastically reduce the role of democratic government and outsource it to international corporations like G4S, Capita, Virgin, Atos, Serco etc. The reality of course is that the financial crash of 2007/8 and the resulting UK debt mountain were not caused by ‘immigrants’ or ‘welfare scroungers’ or ‘health tourists’ or ‘Polish plumbers’ or the disabled and they weren’t even caused by Labour Party spending on schools and hospitals. The crisis (which had its foundation in the deregulation of banking and financial services in the 1980s) was caused by greed and incompetence in the banking industry. It culminated in the US where banks had lent colossal sums of money in worthless, sub prime loans and then repackaged those loans and sold them on to the rest of the global finance industry disguised as respectable investments. This was legalised fraud on a massive scale. 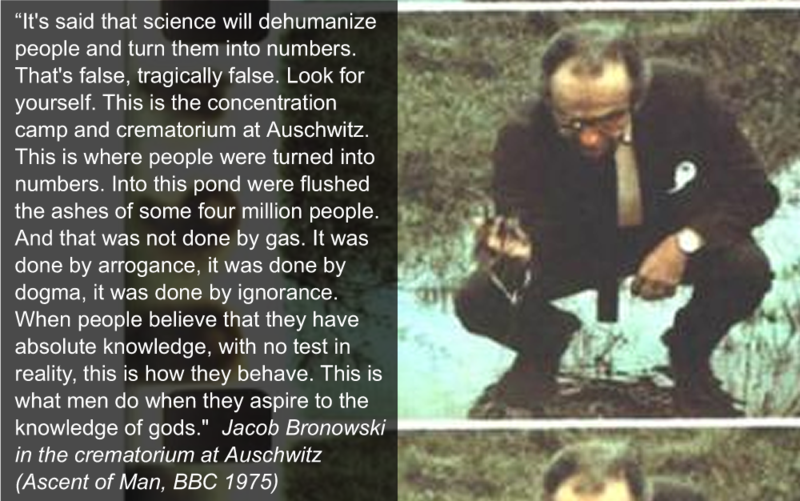 This is all common knowledge to those who have been paying attention so why remind ourselves yet again? Well the success of government double speak means that the underlying problems within the national and international banking and financial sectors have not been addressed and it’s looking as if the next financial crisis is just around the corner (see graph at top of page). Only this time we will be far less well placed to face the consequences. 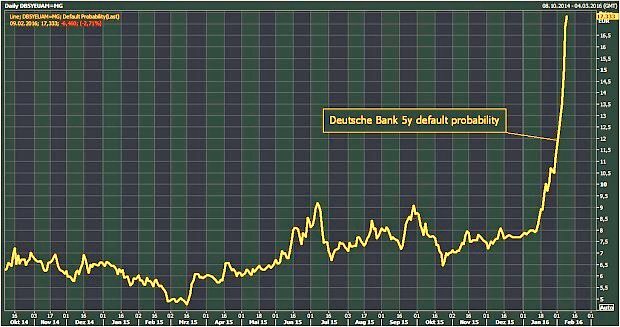 Is Deutsche Bank the next Lehman Brothers? Who knows? Our governments are in hock to big finance. George Osborne is a politician with an ideological agenda, he is is not an economist and has no economics training. The people who caused the last financial crisis are, with only a very few exceptions, still in place, have they learnt their lesson? The regulators are controlled by the regulated and most of the potential reforms have been shelved or watered down. The only thing we know for sure is that it is ordinary people who will pay the price for the hubris, incompetence and greed of our financial elites. Addendum: Adair Turner (head UK regulator at the height of the 2008 crisis) told the Today programme that the idea that the public will never again be called on to bail out the banks is not only untrue but, as he put it, a “dangerous” assertion.